Struggling for a theme for your big game / big night viewing party this February? Make it all about Matt Damon. 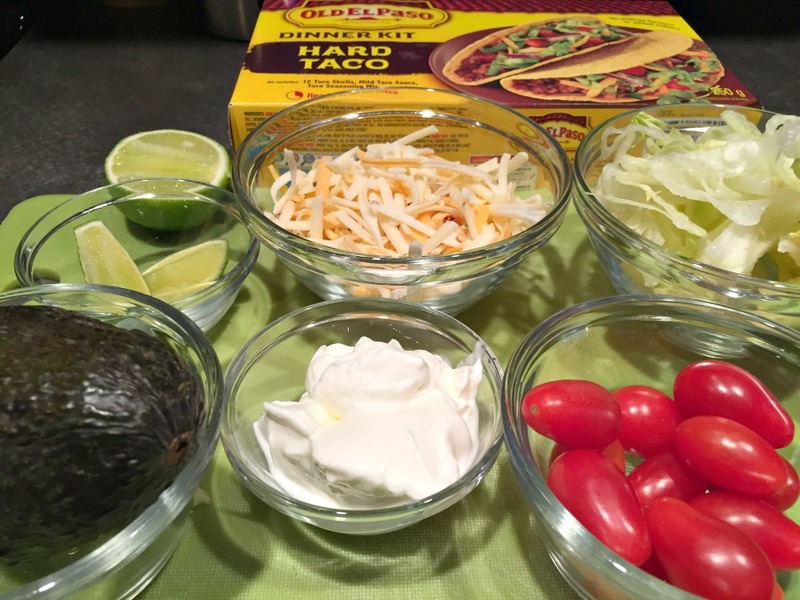 No matter what the occasion – from Vince Lombardi to Oscar – Matt Damon is your party inspiration and Matt Damon‘s taco recipe is what you need to bring the smiles to your get together. The Cambridge, Massachusetts native’s Patriots have appeared in six title games in the recent past (make it seven this year), winning four championships (if Tom Brady gets a fifth, he’ll have the most all-time). On the red carpet, this year marks the 20th Anniversary of Good Will Hunting and Damon can celebrate that occasion as producer of one of the front running Oscar films, Manchester By The Sea. So whether you’re celebrating the big game, or getting glammed up for the big night, Matt Damon is relevant across the board and that’s why you need Matt Damon‘s taco recipe. 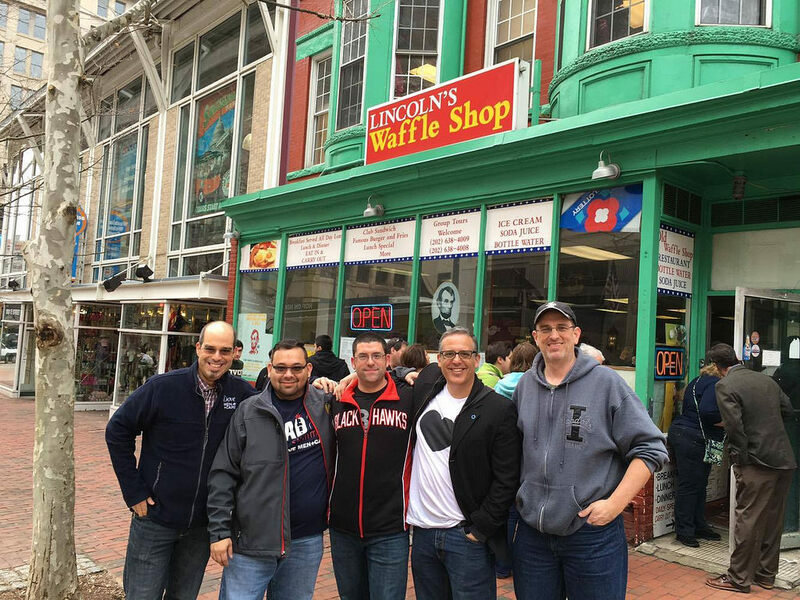 In a Reddit AMA, Damon served up his recipe for the perfect taco. It includes a hard shell with ground beef hot enough to melt the cheese, plus a little bit of lettuce and tomato, hot sauce and a squirt of lime. Basic and simple. That’s it. 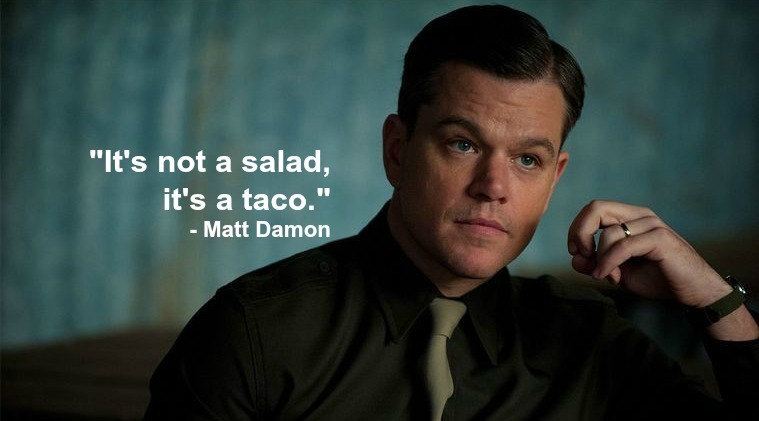 I had no idea, that Matt Damon was such a taco genius. Seriously .. like none. 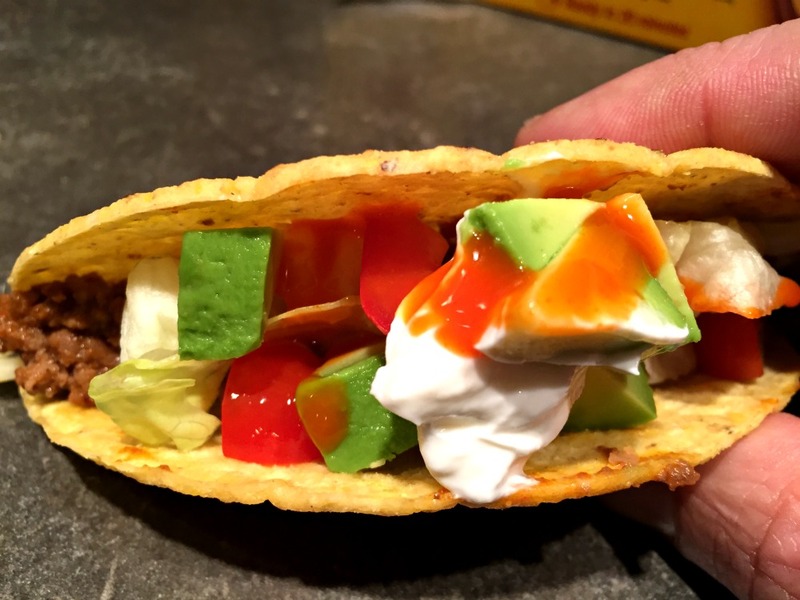 It’s the hot sauce mixed with the creamy sour cream and avocado that knocks this one for me. And the hot melty cheese. And the crunchy shells. There are just soooo many textures in here that .. wow. 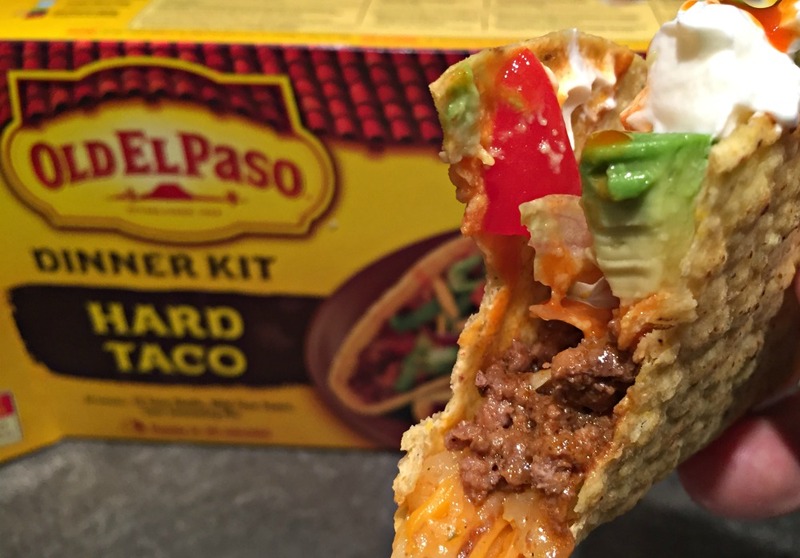 I have been eating tacos wrong my entire life. Matt Damon has, absolutely, completely, and totally knocked this taco recipe out of the park. 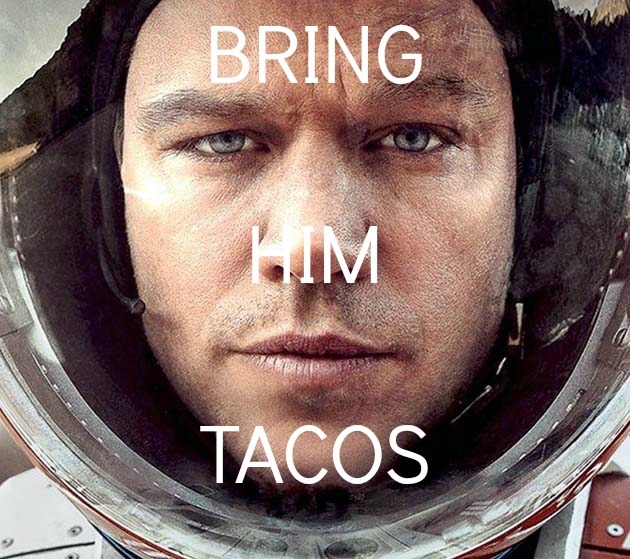 I love them tacos, Matt Damon. Thank you. Here are some extra ideas to kick up your taco table for the football or red carpet events of the year. And to cover anything else not easily found in food? Use food colouring in the sour cream! If Manchester By The Sea is your pick, get some extra Old El Paso Refried Beans on the table, or maybe some lobster, same thing for New England. 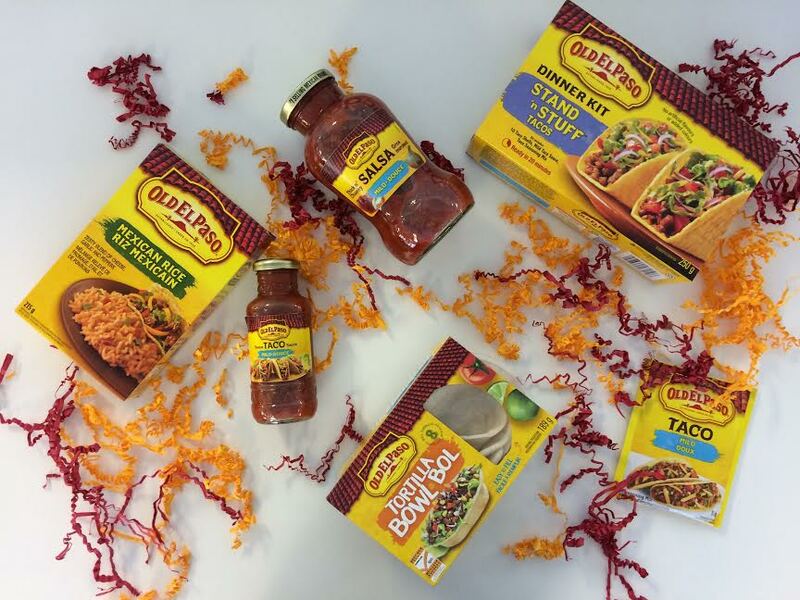 La La Land demands some Baja-style fish tacos (and the Old El Paso Baja Fish Taco Kit is bang on the money). If you’re cheering for Atlanta, make up some chicken tacos and call it ‘falcon meat?’ – okay, maybe that’s something Pats’ fans would do. Terms and Conditions: Contest open to Canadians only. Prize must be accepted as awarded. Void where prohibited. Please use personal and legitimate social media accounts, not contest-only accounts. 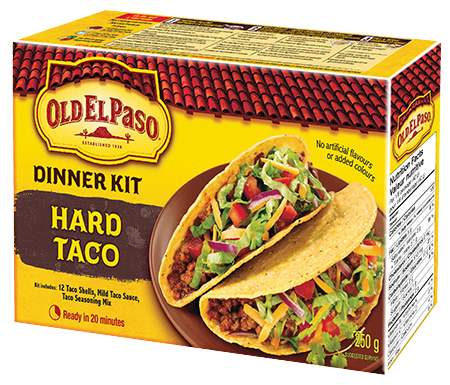 A family classic, Old El Paso Kits are an easy, quick and a delicious meal all wrapped up in the iconic yellow packaging. 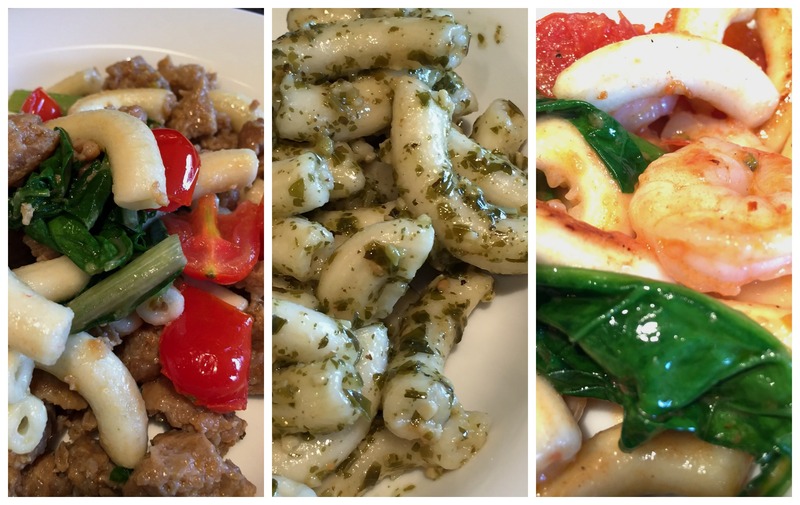 It’s meal that actually allows families to accommodate everyone, from picky eaters to adventurous ingredient lovers. 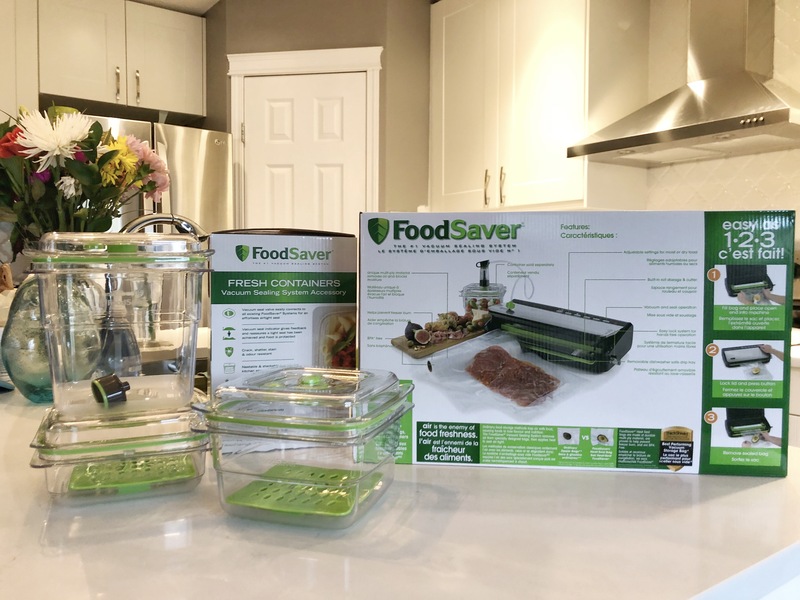 Allow your family and friends to top their taco or tortilla with their favourite fresh ingredients. I love to load my taos up with cheese, sour cream and lettuce!! Thanks! My tacos always have ground beef, salsa, iceberg lettuce, green peppers, mozzarella cheese and cheddar cheese. I have ground beef, lettuce, green peppers, cheddar cheese, salsa and sour cream on my taco’s! I have ground beef, lettuce and tomatoes (plain jane).. My family members love their beans, ground beef, steak, chicken, sour cream, cheese, lettuce and salsa. 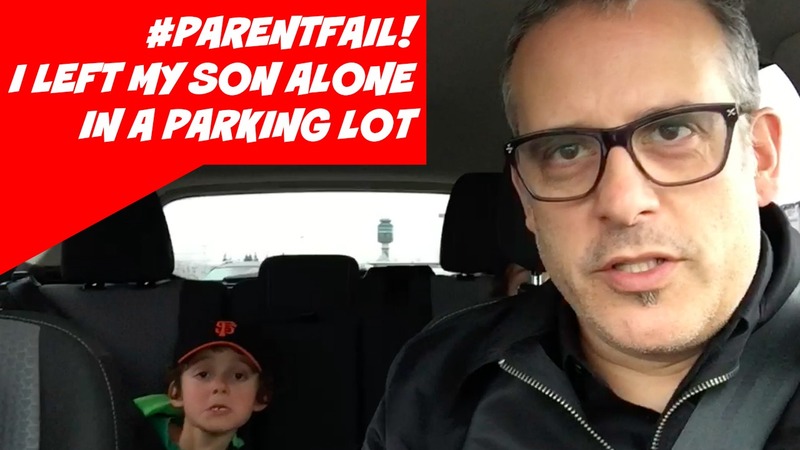 Matt’s sounds great, but he’s missing the jalapenos! Bring ’em on! I like ground beef tacos with shredded lettuce, salsa, guacamole, chopped onions and black olives. Yum! I like lots of meat, sauce, lettuce, tomatoes, and cheese! 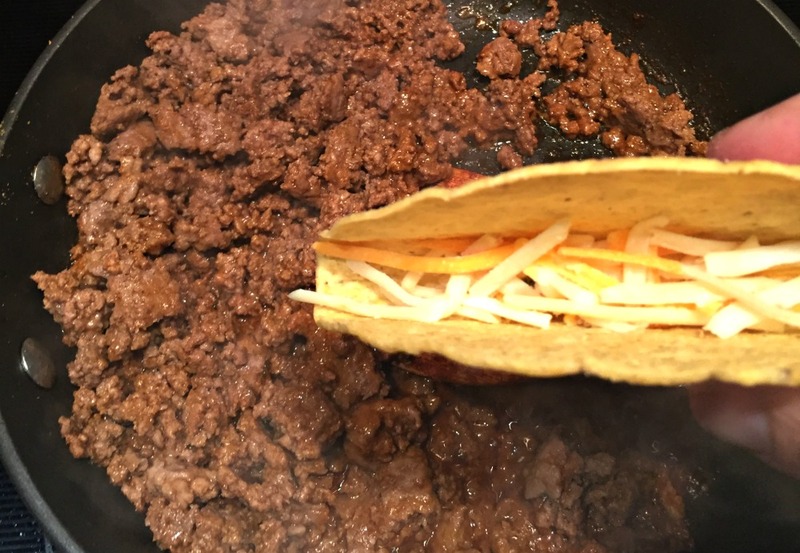 I always put the cheese first, then heat up my taco shells with the cheese in the bottom so it melts. Followed by Meat, Hot Salsa, Lettuce, Tomato, Sour Cream. My favorite way to load up a taco is with chicken, black beans, lettuce, bell, jalapenos, salsa and cheese. I also add the cheese to the meat on the bottom to melt it. I also add in salsa, fried onions, lettuce tomato, guacamole and sour cream. I like mine with extra salsa and guacamole! I like mine loaded up with sour cream and cheese. Matt’s way sounds great, but no tomato for me. Love the idea of putting cheese on first so it melts! I love beef, hot peppers, tomato, sour cream and cheddar. On my taco I love lettuce, tomatoes, green pepper, sour cream and shredded cheddar cheese. I love fish tacos filled with fried fish, pico de gallo, lettuce and avacados. Ground beef, lots of cheese and lots of taco sauce. Lots of guac, sour cream, meat and cheese! I load it up with everything! I love a taco loaded up with cheese, salsa, hot sauce, meat, tomato, sour cream, olives, guac, and a touch of lettuce. Mine is close to Matt Damon’s. ground beef(with taco seasoning), refried beans,cheese,lettuce.tomato,salsa and sour cream.Either on a hard or soft taco shell. 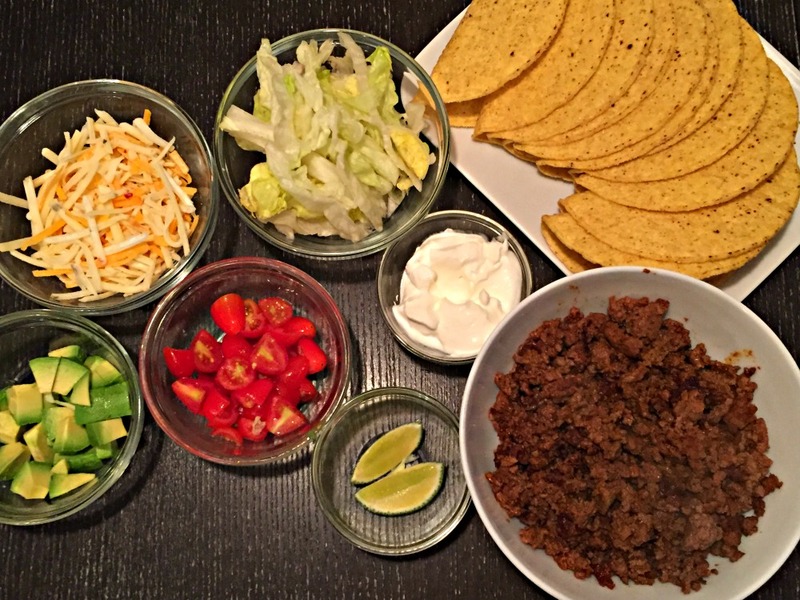 ground beef, salsa, guac, cheese, sour cream, lettuce, jalapenos, tomatoes… yum! I love to run it through the garden ! Load it up ! With ground beef, lettuce, tomatoes and medium cheddar! I like ground chicken, cheese, salsa, sour cream, and lettuce. My favourite way: ground beef, lettuce, tomatoes, cheese, sour cream. ground beef or chicken,lettuce,tomatoes,cheese and salsa! Love tacos,,its a family fav! Matt Damon sure knows how to load a taco!! I think mine would be exactly like these but would add sour crea and lots os salsa. I like mine loaded with ground beef, lettuce, onions, jalapenos and lots of shredded cheese. His recipe sounds soo good! I like to load my taco with shredded spinach, shredded chicken, sour cream, shredded cheese, salsa and bell peppers. I like onions hamburger, taco sauce cheese tomatoes and Lots of sour cream. I’ve actually never eaten a taco. But hope to discover them with Old El Paso. Meat, cheese, tomatoe, salsa, sour cream, avocado. Yummy! I love my mango salsa on my taco with lots of cheese. I never find that the shells hold everything I want! Ideal would be the meat, jalapeno cheddar cheese, lettuce, tomatoes, guac and salsa for me. Lots of Cheese, Tomato and Lettuce. Yum!!! 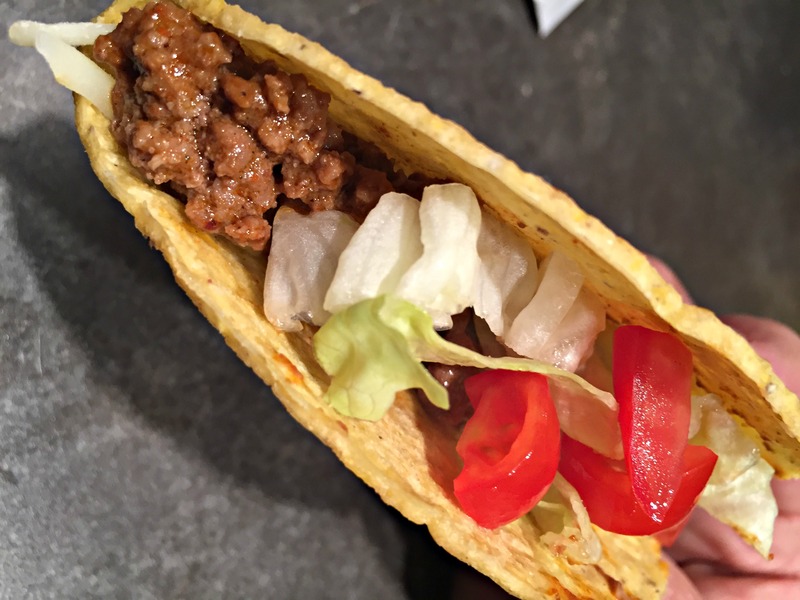 Taco beef, lettuce, onions, cheese & crunched up tortilla chips! Cheese, Peppers, Caramalized Onions and lots of lettuce with a bit of sour cream at the bottom. 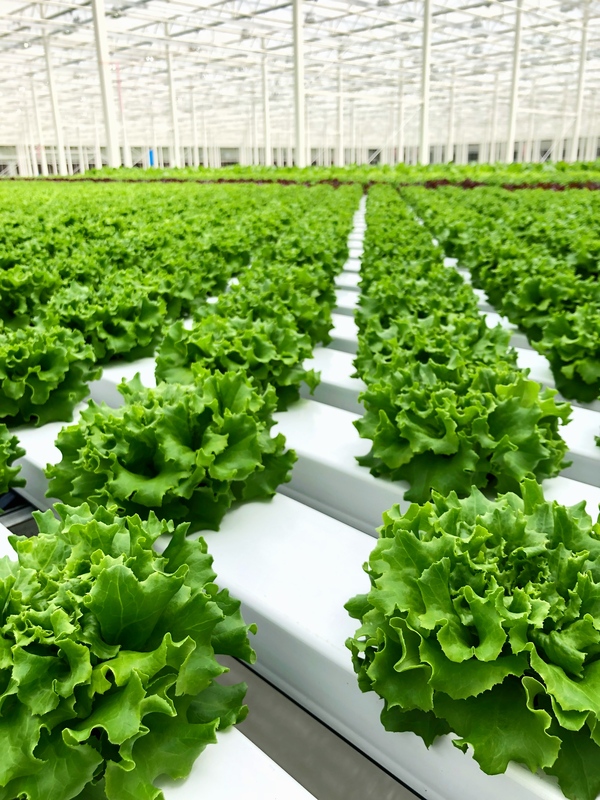 I like tomatoes, lettuce, red cabbage, red peppers, onion, cilantro, chilis and salsa! Ground beef or or gorund hot sausage along with refried beans , lettuce , tomato , red onion , shredded old cheddar , sour cream and sometimes I like some chopped green pepper also .